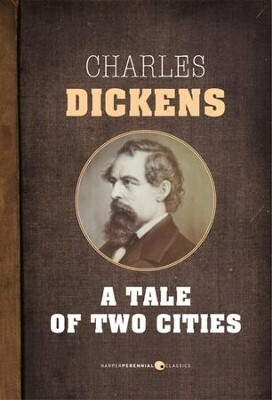 “It was the best of times, it was the worst of times…” So begins Charles Dickens’s classic A Tale of Two Cities. Published in 31 weekly installments from April to November 1859, A Tale of Two Cities captures the tension and uncertainty of life in France during the French Revolution, and its corresponding parallels within London society. One of only two works of historical fiction by Dickens (the other being Barnaby Rudge), A Tale of Two Cities follows the lives of Charles Darney and his wife Lucie Manette, who are French aristocrats, and Sydney Carton, an English barrister in love with Lucie. I'm the author/artist and I want to review A Tale of Two Cities - eBook.